The following commercial leases were reported to the Real Estate Daily News for the Tucson Lease Report from January 7-11, 2019. 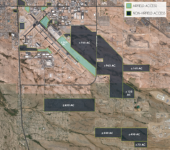 Congresswoman Ann Kirkpatrick leased a 2,283-square-foot office suite located at 1636 North Swan Road from K Nardelli Building, LLC. 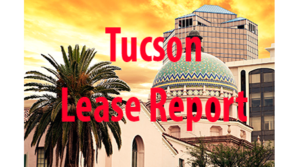 Ian Stuart and Bruce Suppes with CBRE’s Tucson office represented the landlord and Janine Irvin with Mark Irvin Commercial Real Estate Services represented the tenant. The Consulate of Guatemala renewed their lease of suite 704, a 2,119-square-foot office space In the Pioneer building, 100 North Stone Avenue. Dave Volk and Bruce Suppes of CBRE’s Tucson office represented the landlord Holualoa Pioneer, LLC. The Downtown Tucson Partnership renewed their lease of suite 101, a 1,943-square-foot office space in the Pioneer building, 100 North Stone Avenue. Dave Volk and Bruce Suppes of CBRE’s Tucson office represented the landlord Holualoa Pioneer, LLC. Budget Blinds has leased 1,600 SF at 7883 N. Oracle Road, for a 5-year term, from Weingarten Nostat, Inc. Robert J. Nolan of Oxford Realty Advisors represented the Tenant and Brooke Harvey of Weingarten Realty represented the Landlord in the transaction. The Lara Law Firm, PLLC newly leased a 663-square-foot office space in suite 808 in the Pioneer building, 100 North Stone Avenue. Dave Volk and Bruce Suppes of CBRE’s Tucson office represented the landlord Holualoa Pioneer, LLC.